Last Updated: April 8, 2019 By Katie 33 Comments -- Paid Promotion. Disclosure policy here. Okay, so I’ve been researching this for a while now, and since I’m 37 (almost 38!) weeks a.k.a full term a.k.a. I could go into labor at any moment- I decided it’s time to pack that hospital bag of mine. 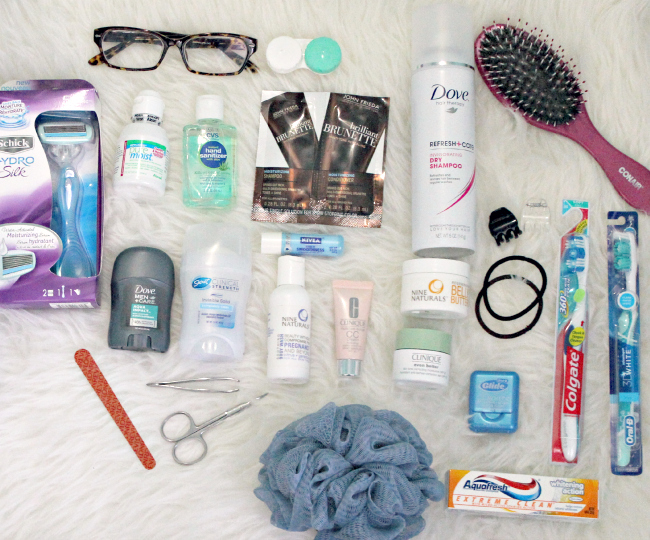 And so, I have and it’s time to share what’s in my hospital bag. 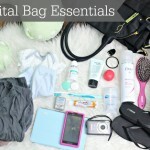 I asked all my mama friends in this post and on Instagram for their must-haves, and with all of that awesome advice, I have put together my own hospital bag must-haves! This is what I have packed. I’ll be sure to do a follow-up post with what I actually used/ needed! First off, the toiletries. I will also have my makeup bag, of course, I just don’t have that packed yet since it’s my every day items, but I’ve been storing them in makeup bag so it’ll be easy to grab and go when needed! Razor, glasses, contacts case (and extra pair), contact solution, hand sanitizer, shampoo and conditioner, dry shampoo (let’s be real, this is what I will be using- not the actual stuff), hairbrush, hair ties and clips, deodorant (for him and her), chapstick, body wash, cc cream, belly butter/ body lotion, moisturizer, floss, toothbrushes, toothpaste, nail file, tweezers, manicure scissors, loofah. We’re also planning on bringing some sweets for the nurses (my aunt is a nurse and recommended cookies or candy, so that’s what we’ll do! 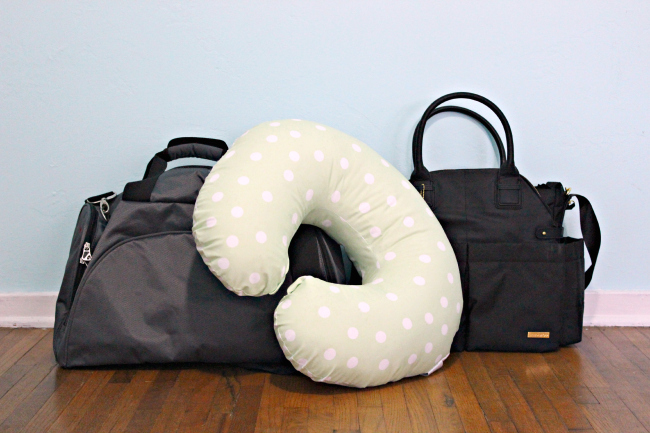 ), snacks for us, and our phones/ipad/kindle/cameras/chargers. 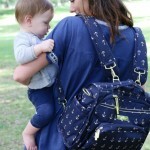 If you’re a mama, what do you think of what I packed? So fun fact! My favorite toothpaste besides Crest Optic white is that Aquafresh Extreme Clean. I LOVE the way my teeth feel after I brush with it! I discovered it when I was living with my cousin in New Jersey and her mom never would buy anything else. How incredibly exciting is this entire post, you look wonderful! The picture with yours and baby clothes is priceless. Ha! For once in my life, I’m organised! ;) I like the idea of bringing my own music- I may have to grabe my ipod, too! What a gorgeous picture! He’s quite the photographer! You are all set to go! I wish someone would have told me to pack a little something for the nurses. Such a great idea! Aw thanks Giselle!! :) I love the idea of bringing something to the nurses- I knew right when I first read it that I wanted to do that! you’re looking gorgeous! great pic! My own clothes were such a blessing. I brought my own pillow too, because I’m picky about them. My cousin brought treats for the nurses when I was there (so glad she did, I didn’t think of that)! 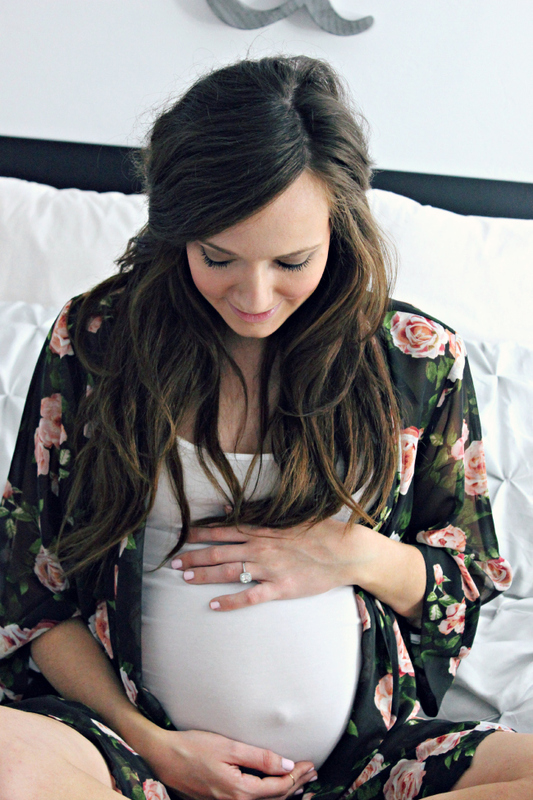 Love the picture of your bump, those are pictures you’ll treasure for the longest time! Ahhh yes, I think I’ll bring my own pillow, too! :) And you’re right- I will definitely always treasure these pictures! Make sure you have chapstick or Vaseline for your lips. My lips got incredibly dry during labor, and Vaseline was the only thing that helped! Yep, I got my chapstick! :) I literally am never without it, though. I’m pretty much obsessed. Great advice- thanks!! :) We don’t have any of those little mittens, but I think we need to get some! I just thought they might supply them in the hospital? Aw thanks girl! I knowwwww it’s so close I can’t even believe it!! I love what you’re wearing, that floral print is so pretty! One thing I’m super happy my husband brought was a portable hand-held fan. He held it up to my face when I was in labor. I laughed beforehand that I wouldn’t need it but I was SO glad he brought it anyway! Best wishes on your upcoming delivery!! Aww thanks Amber!! :) I love the hand-held fan idea! Great tip!! I love that floral robe you’re wearing! Can you tell me where it’s from? That photo is GORGEOUS! Can’t wait to see the rest! I love that photo of you – it’s beautiful! Make sure to bring magazines/book, snacks etc… for the husband as well; just in case the labor last a little longer. I was in labor for 12 hrs with my first son- needless to say my husband was hungry and had nothing to do. Love this list, and YES… you packed warm socks. My labor and delivery must-have. Can’t wait to see your bouncing baby boy make his entry! Your kimono is beautiful! where did you get it? such a yummy mummy! Aww thank you so much! :) The kimono was from Forever 21. Also Urban is a good place for kimonos!